“Go outside and get some fresh air,” is a common phrase you’ll often hear people say. However, wouldn’t it be nice if we could stay indoors and get the same benefits? The quality of the air we breathe, whether that be indoors or outdoors has a big impact on not only our health but also our day to day positivity. According to studies, the quality of the air you breathe significantly affects your mood and productivity level . Unfortunately, staying indoors doesn’t help us avoid dangerous pollutants from outside . In fact, the EPA reports that common air pollutants 2 to 5 times more concentrated indoors . Poor air quality could be the root of fatigue, headaches and other problems. Do air purifiers really combat the problem of indoor air quality, or is it just hype? In this article, you’ll find out how and why the best air purifiers on the market today are highly effective at cleaning the air you breathe. 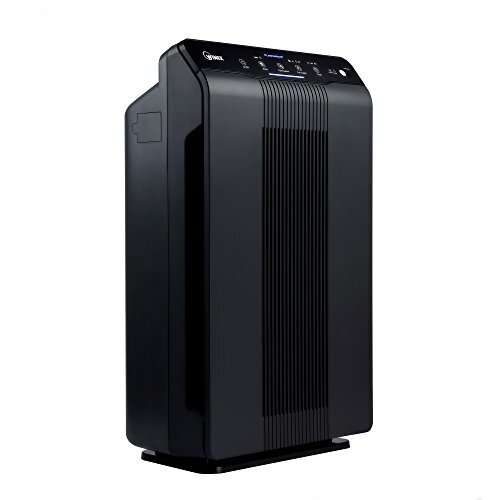 We’ll also examine the top 10 air purifiers and find the best one to suit each type of need. Air purifiers trap and collect airborne impurities floating in your home, making the air healthier to breathe. Quality air purifiers are able to remove airborne bacteria, viruses, mould spores, chemical gases, smoke, dust and other allergens. They work by cycling air through their filters, or by expelling charged particles that neutralize pollutants. Some air purifiers work through a combination of these two methods of air purification. Does cleaner air translate to better health? Absolutely. If you have allergies or asthma, you’ll notice the difference it makes for you after just a few hours because it removes allergens and asthma triggers. This can potentially even reduce the amount of medication you need to manage your symptoms. Even if you don’t have allergies or asthma, breathing better air betters your health. By reducing the number of toxins you take in on a day-to-day basis, a good air purifier may raise your energy levels, promote better sleep and improve your mood. Of course, air purifiers aren’t the only device out there for improving indoor air quality and it’s important to make sure that you know the difference between them in order that you select the correct one for you. Let’s look at the major options available. Dry air doesn’t just bother your skin and nasal passages, it also makes you more vulnerable to colds and other viruses, since your nose requires moisture to catch hold of germs before they enter your lungs and cause illness. Humidifiers are devices you fill with water, which slowly becomes dispersed as vapour. Unlike air purifiers, however, they don’t actually clean the air. Air conditioners don’t just cool indoor air, but also they do some filtering to remove outdoor pollution particles. While they don’t cleanse the air at the level of an air purifier, they are shown to improve indoor air quality better than an open window. The downside is that they also remove moisture from it, which can cause the air to be excessively dry. Like humidifiers, diffusers expel water vapour into the air. What makes diffusers different is that you can put essential oils and fragrance oils into them so that they freshen up the home with a pleasant aroma. When you use 100% pure essential oils that have germicidal properties, you can get a little bit of air-cleansing action from your diffuser. However, it’s not as effective as an air purifier. A HEPA filter is a type of mechanical filter that traps air particles as small as 0.3 microns. Because it captures such minuscule particles, it’s able to remove bacteria, viruses and mould spores from the air. It also eliminates allergens like pet dander and dust. If an air purifier has a HEPA filter, you can expect it to remove 99.97% of harmful airborne particles. An activated carbon filter utilizes a type of charcoal known as activated carbon to trap contaminants and absorb chemicals. Activated carbon is a porous surface area that absorbs and traps impure air like a sponge. It’s particularly effective in removing volatile organic compounds (VOCs), which are gasses released from common household products and have been linked to various health problems. Ultraviolet-C (UVC) light is a short-wavelength form of light that kills microorganisms like bacteria, fungi, mould spores, viruses and other microbes by destroying their nucleic acids and DNA. Air purifiers that emit this light are able to cleanse the are within a 6-inch distance in just 10 seconds. Therefore, the air purifier should have a means of circulating air in the room with a fan so that a greater volume of air can reach the UVC light and be cleansed. Some air purifiers create a loud “white noise” that not everyone can get used to in their home. You don’t want to have to turn off your air purifier at night because you can’t sleep with it on. Some manufacturers boast low noise levels and even report the number of decimals their air purifier produces so you can guarantee it won’t be too noisy. The longer you run your air purifier, the more benefit you get from it. To keep this affordable, however, you want to get an air purifier that is energy-efficient so that it won’t spike your light bill. Air purifiers that are higher in quality tend to use less energy because they’re built with energy-saving features. When you see a product that’s energy star certified, you know it takes less energy expenditure. When choosing an air purifier you need to take into consideration of how large an area you need your air purifier to work in. Do you plan to purify only your own bedroom or do you need a much larger area covered such as the whole downstairs area? Keep in mind how much square feet you need purified and ensure that the air purifier is able to match this area. If you’re thinking about investing in an air purifier, you’re at the right place. We’ve done the research and found the air purifiers that stand out for their excellent features. 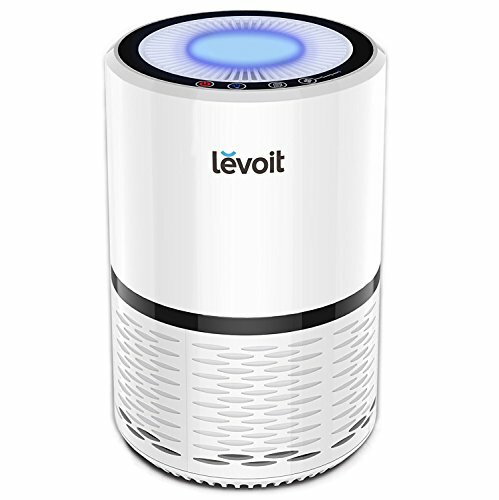 The Levoit air purifier is a cylinder-shaped device with aesthetic appeal that makes it ideal for an office space or living room. It operates quietly and won’t take up a lot of space. With 3 different fan speed settings, you can adjust its intensity. Instead of one, it has 3 filters, to ensure all pollutants are collected from your indoor air. It filters in 3 stages, starting with a pre-filter, followed by a TRUE HEPA filter and an activated carbon filter. You only need to change the filters twice a year, which helps keep air purification affordable for you. The Levoit also has a nightlight, so it’s perfect in your child’s room or to help light your path in the bedroom at night. The only issue that can come up with this filter is with its setting buttons. The unit produces a high-pitched beep when they’re pressed, which can get annoying. The buttons are very sensitive and sometimes get pressed unintentionally, while other times they don’t work at all until the unit is unplugged and plugged back in. Like the Levoit air purifier, the PureZone from Pure Enrichment has 3 filters, including a pre-filter, HEPA filter and activated carbon filter. However, it combines these with a UVC light for an additional layer of air sanitation. Also, like the Levoit, it had 3 fan speeds and the filter needs to be changed every 6 months. While the added UVC light is nice, the PureZone works only in a small room. 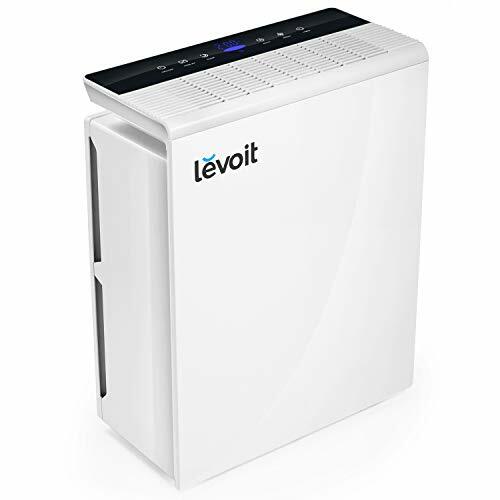 Considering it costs more than the Levoit but has a weaker fan that covers less area, the Levoit is a better choice unless you only need to purify the air in a dorm room or bedroom. You have the option for it to shut off after a few hours or operate continuously, and it’s very quiet. 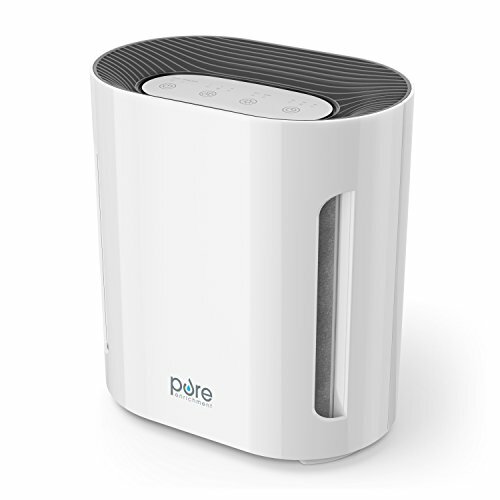 Whereas the PureZone air purifier doesn’t circulate a lot of air and only does the job in a smaller space, the GermGuardian gets it done in larger areas, including rooms up to 167 square feet. It’s great at circulating large amounts of air and has 3 fan speeds to speed up the circulation. It is energy star certified, which means you can count on it to use energy efficiently in spite of its power. In addition to a HEPA filter and carbon filter, it also has an optional UVC light that provides an extra layer of germicidal action. Although it filters a ton of air, circulating the air in a large room about 4 times an hour, the filter only needs replacing every 6 to 8 months. 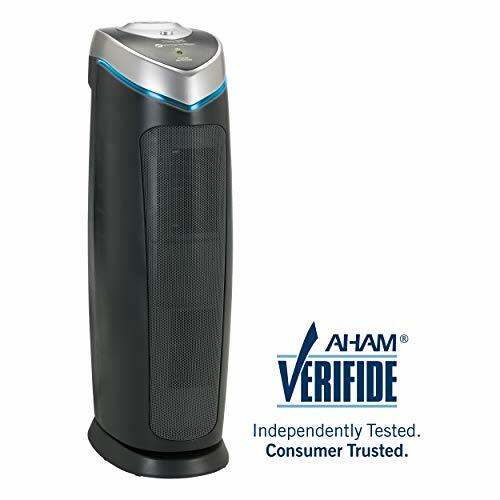 These claims have been third-party tested and certified by AHAM, so you know you can’t go wrong with this unit. Unfortunately, there have been several reports of the internal circuitry in these units catching fire. At the same time, most experiences have been good based on positive reviews, so hopefully, GermGuardian has fixed the problem. 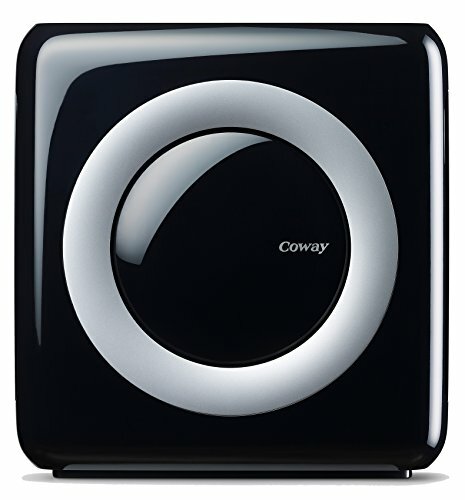 The Coway air purifier is a square-shaped device with a sleek, aesthetic appeal that almost looks like a stereo speaker. A great feature it has is its “eco mode,” where it shuts off automatically to save energy whenever pollution is absence for 30 minutes. While you may save energy, you don’t save a lot of money investing in this air purifier, because it’s almost twice as much as many others. On the other hand, you are getting more features with the Coway air purifier. For example, it tells you how clean or dirty your air is, and it senses when you need to change your filter. It also has a timer feature so you can set it to run and shut off automatically and not think about it. Though it’s more expensive, you do get a lot of value out of this filter because you’ll only change the filter when it’s truly expended, and it only runs when there’s actual pollution in the air. In addition to a pre-filter, odour filter and HEPA filter, it has a bipolar ionizer that neutralizes airborne particles through an electrochemical reaction. 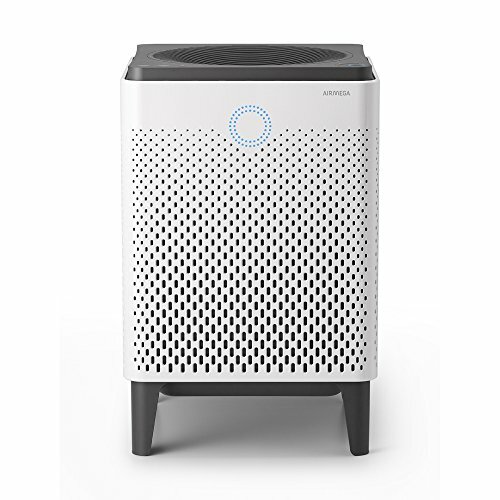 The Blueair is an expensive but top-rated air purifier with an elegant design. It’s made for medium to large rooms, ranging from 400 to 600 square feet. It’s been certified by AHAM, which confirmed it’s best used for 540 square foot areas. It’s energy star rated and it operates quietly. Users say it completely removes household odours and leaves the air amazingly fresh. It doesn’t have UVC light, but has a HEPA filter, carbon filter and pre-filter like most on this list. Therefore, it may not be worth paying more than twice the money than you would for a unit like GermGuardian. The Winix air purifier is a top-rated device with great results, but it takes a lot more maintenance than others. The pre-filter needs to be cleaned every 2 weeks, and the washable AOC carbon filter requires cleaning every 3 months. On the plus side, it does an amazing job eliminating pet dander, dust and other impurities in the air, which makes all the maintenance worth the effort for users who notice a drastic difference in their air quality. The Winix has a permanent filter called PlasmaWave, which breaks down odours, allergens, chemical vapours and more. This produces trace amounts of ozone at 10 parts per billion, which is a slight environmental concern. On the other hand, the PlasmaWave feature is optional. The Winix is third-party tested and recommended for 360 square foot rooms. Works in a large area to clean large open areas of the home or even an entire small apartment. PlasmaTRUE ionizer produces trace amounts of ozone and louder noise. The AeraMax air purifier works in large rooms up to 600 square feet, so it’s ideal for the living room and other main areas of the home. It’s third-party certified by the Asthma and Allergy Foundation of America, and it tackles tiny airborne particles with a 4-step approach. It has the HEPA filter and carbon filter, plus two proprietary technologies. These include a built-in antimicrobial treatment called AreaSafe and an ionized field they call PlasmaTRUE. Like the Winix, it releases a tiny amount of ozone, but the feature can be turned off if you desire. The PlasmaTRUE feature also makes the unit operate more loudly. The Levoit LV-PUR131 is energy star certified and third-party tested, plus it comes with a 1-year warranty. With its unique sleep mode feature, it makes less noise when running at night. When you set the auto-timer, it can even change to sleep mode automatically. 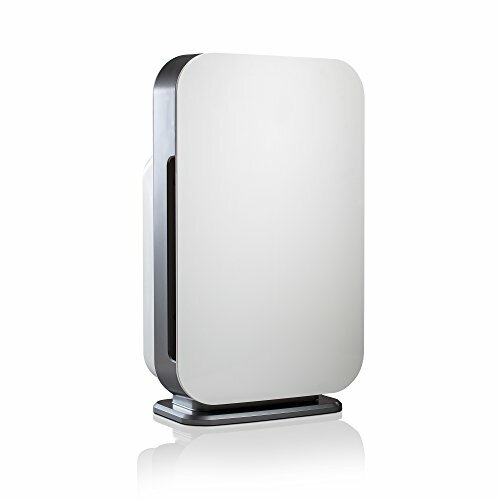 Similar to the Coway air purifier, it measures the pollution level in your home. Then, it recommends the fan speed you should use to cleanse the air. If you only need it on a lower fan speed, why waste the energy? It has a pre-filter, HEPA filter and carbon filter, and you only need to worry about filter changes twice a year. It lets you know when you should change the filter based on the status of the filter, to improve accuracy. Unfortunately, malfunctions can happen with this filter, both after use and even out of the box. The Alen BreatheSmart purifier is a great option for bedrooms, as it’s designed to help with better sleep. Instead of producing a generic white noise as it operates, it’s tuned to a pink noise frequency to help you achieve quality sleep. It’s one of the more expensive air purifiers on this list, but it’s designed by NASA airflow engineers and is proven to purify 700 square feet of air in just 30 minutes. The difference is quickly noticeable, which is why this product is top-rated. It’s made with quality materials, rarely malfunctions and comes with a warranty, so you can be sure the investment will last you. 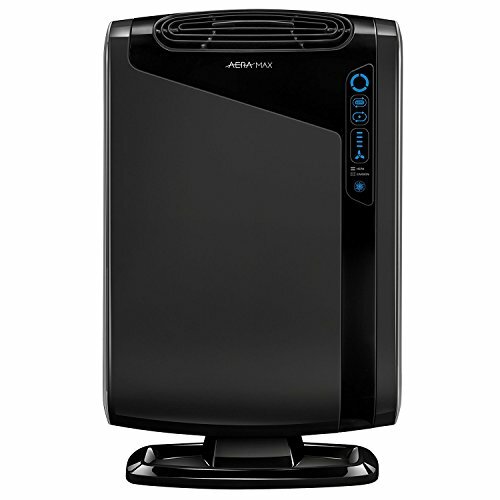 While it’s the most expensive air purifier on this list, the AIRMEGA 300 also accommodates the largest areas. Amazingly, it cleanses the air in a 1,256 square foot radius, circulating it twice in an hour. By drawing air from either side and filtering it out through the top, you’re constantly getting fresher air pumped into your home. You can choose between 5 different fan modes, including low, medium and high, as well as an energy-smart mode and a quieter mode for sleep. The smart mode allows the fan to automatically operate based on the level of pollution in the air. The AIRMEGA monitors your indoor air quality and lets you know when your filters need to be cleaned or changed. Although it’s large in size, it has a sleek design and almost looks like an end table. Which is the Best Air Purifier? Ultimately it depends on what size room you need it for. 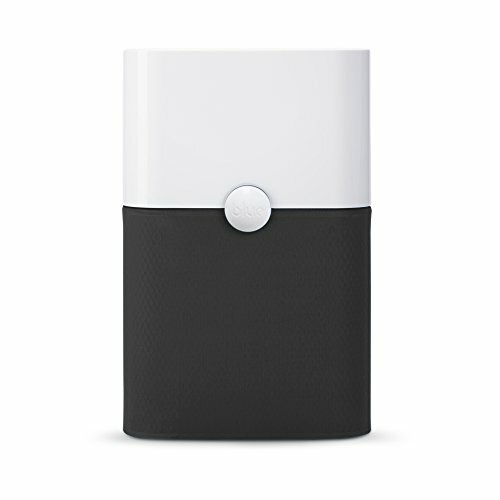 The Coway AP-1512 is an energy-smart, compact air purifier perfect for smaller rooms. Its energy-saving features and sleek design make it easy to add to your bedroom or apartment with minimal maintenance. With its 4-method approach to cleaning the air, it produces great results, and monitors indoor pollution so you can ensure you’re getting purified air. When it comes to large rooms and small apartments, the AIRMEGA 300 is hands-down the best option. If your air purifier doesn’t cover enough ground, you’ll notice the difference and have to compensate by moving the device around or investing in another one. With the AIRMEGA 300, you’re not just paying for quality, but also for the 700 square feet of air it covers. Because air purifiers collect pollutants within their radius, it’s best to place it in a central location within your room, such as at the foot of your bed or amid your furniture in the living room. Avoid placing it in a corner so that you can get more out of it. When replacing filters, make sure you buy them from the same manufacturer as the air purifier to ensure quality. When you get a top-of-the-line air purifier, you’re investing in your health. Getting one that’s built to last is a decision that can ensure you’re breathing healthier air for years to come.